ONE CARE is dedicated to providing the best quality of care to all our clients, and to support staff and volunteers in the delivery of those services. Our work is focused on quality, accountability, transparency and results. The Local Health System Integration Act, 2006 requires that the Southwest Local Health Integration Network (SW LHIN) and Health Service Providers (HSPs), like ONE CARE Home & Community Support Services, enter into a service accountability agreement. The service accountability agreement enables the LHIN to provide funding to the HSP for the provision of services. It also supports a collaborative relationship between the LHIN and the HSP to improve the health of Ontarians through better access to high-quality health services, to co-ordinate health care in local health systems, and to manage the health system at the local level effectively and efficiently. For further information on other ONE CARE accountability initiatives, please contact the Information & Privacy Officer at 1-877-502-8277. Click here for the 2019-2022 Multi-Sector Service Accountability Agreement between ONE CARE and the South West LHIN. Click here for the MSAA Declaration of Compliance. ONE CARE takes the rights of our clients seriously. As service providers and custodians of personal information, we have an obligation to respect and promote client rights at all times and in all activities. All staff and volunteers of ONE CARE are responsible to understand these rights, and to support client awareness of their rights. This statement has been developed in accordance with the Long Term Care Act, 1994, and with Accreditation Canada standards. To be dealt with in a courteous, respectful manner. To be free of mental, physical and financial abuse by the service provider. To have his/her dignity and privacy respected. To be dealt with in a manner which is sensitive and responds to ethnic, spiritual, linguistic, familial and cultural factors. To have recognition of his/her individuality. To have information about the services provided, and who will provide them. To have the right to give or refuse consent to service. To be able to raise concerns or to make recommendations about service, policies and decisions that affect his/her care without fear of reprisal, interference or coercion. To be informed of the laws rules and policies affecting the operation of ONE CARE. To know his/her records are kept confidential in accordance with the law. ONE CARE takes information security and the privacy of their clients seriously, and takes appropriate precautions to safeguard personal health information and the security of our systems. ONE CARE has adopted security safeguards in accordance with industry standards that ensure PHI is protected against theft, loss and unauthorized use or disclosure and unauthorized copying, modification and disposal. We have established policies, procedures, and guidelines that will enable safeguards around PHI or other personal information, and ensure that ONE CARE adheres with PHIPA regulations and principles. ONE CARE will protect data and services that are part of business processes throughout their lifecycle. ONE CARE supports an Information Security Management System that adheres to well-known standards and best practices. Annual Report The 2017-2018 Annual Report as presented at the most recent annual meeting. 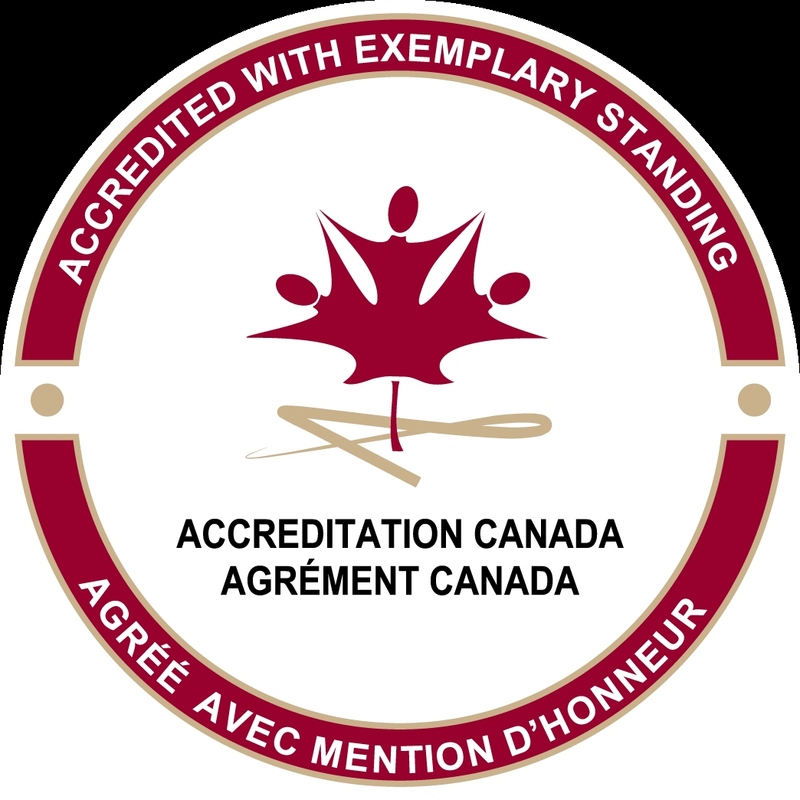 Accreditation – ONE CARE meets the standards of Accreditation Canada. 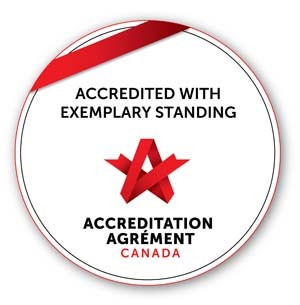 We are one of the 1,000 health care organisations from across Canada that have participated in Accreditation Canada’s programs which evaluate organisations’ performance against national standards of excellence. These standards examine all aspects of health care, from patient safety and ethics, to staff training and partnering with the community. Health care staff devote time and resources to learn how to improve what they are doing so they can provide the best possible care and service to their patients and clients. Ethics – ONE CARE expects that all of our business is conducted in compliance with high ethical standards of business practice. We apply these standards to all dealings with employees, clients, funders, vendors, and other stakeholders. ONE CARE strives to establish a culture of openness, trust and integrity in our business practices. The agency is committed to acting professionally and in a client centered manner, upholding the dignity and honor of our clients and practicing in accordance with ethical principles. ONE CARE is committed to being responsive to the needs of all its clients. We recognize the diverse needs of all of our clients and respond by striving to provide services and facilities that are accessible to all. As an employer, and a provider of services, ONE CARE is committed to ensuring its services are provided in an accessible manner. ONE CARE will promote accessibility through the development of policies, procedures and practices and by ensuring they consider people with disabilities. To do this we must ensure the policies, procedures and practices address integration, independence, dignity and equal opportunity. ONE CARE services will be provided in a manner that respects the dignity and independence of persons with disabilities. The provision of services to persons with disabilities, and others, will be integrated unless an alternate measure is necessary, whether temporarily or permanently, to enable a person with a disability to obtain, use or benefit from the services. Persons with disabilities will be given an opportunity – equal to that given to others – to obtain, use and benefit from the services. Communication will be considered, in a manner that takes into consideration a person’s disability. Staff will receive training and regular refreshers as deemed necessary by management. Persons with disabilities accompanied by a guide dog or service animal will be permitted in those areas of the premises owned or operated by ONE CARE that are open to the public. Persons with disabilities accompanied by a support person will be permitted to be accompanied by that support person in premises open to the public. Notice and directions will be posted when facilities or services that people with disabilities rely on to access ONE CARE services are temporarily disrupted. ONE CARE will establish and maintain a feedback process to allow people to provide feedback on how we are providing services to persons with disabilities. ONE CARE will allow persons with disabilities to use their own personal assistive devices to obtain, use or benefit from the services offered by ONE CARE.